KIGALI INTERNATIONAL AIRPORT: Crazy story. I landed in Kigali and was welcomed by these awesome Rwandans, Rene Nkurunziza and Regis. FYI, they're perfect strangers. Rene got in touch with me on Couchsurfing - he's a 22 year old radio host and was keen to share ideas and stuff when he saw my website. But I didn't take him seriously when he said he'll meet me at the airport when I arrive. To my utter surprise, he was there! I'd already arranged to stay at a hostel in Kigali, but it was just amazing to have these God-sent Rwandan friends the very moment I landed. Rene was so kind to accompany me to the hostel and advice me on exploring Kigali! I'm just mindblown. 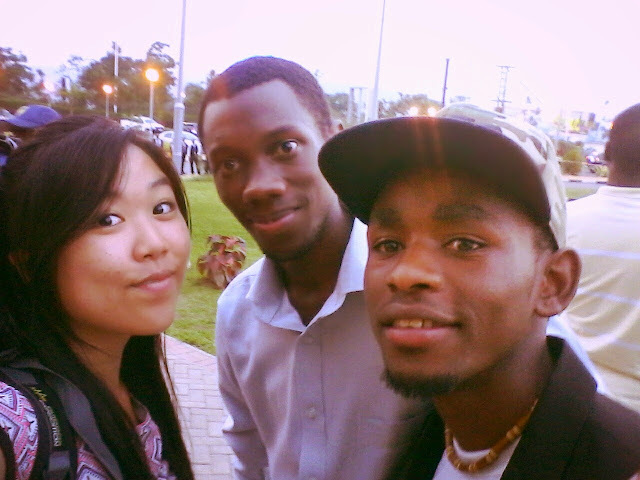 I feel so welcomed in this foreign land, and its so great to be connected with open-minded and artsy young Rwandans.